I am conducting all my sample analysis in the Spillane lab at NUI Galway. 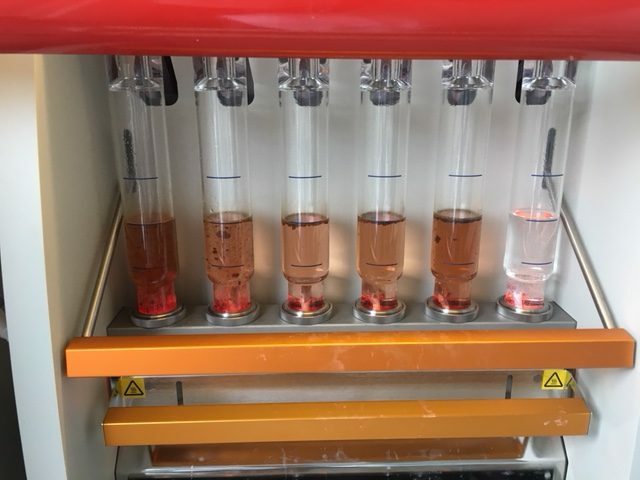 I am currently carrying out crude fiber analysis of the faecal samples collected from the pig trial to investigate the digestibility of the feed given to the piglets. I am learning new lab techniques and making good use of the new lab equipment: Foss Fibertec 8000! Foss Fibertech 8000 carrying out Crude Fiber analysis of faecal samples.